A blank sheet of paper usually intimidates people because of the immeasurable space. But to graphic designers, it’s a blessing to work with a blank canvas because of the endless possibilities. This is probably why most designers favor Moleskine notebooks for their random jots and doodles. 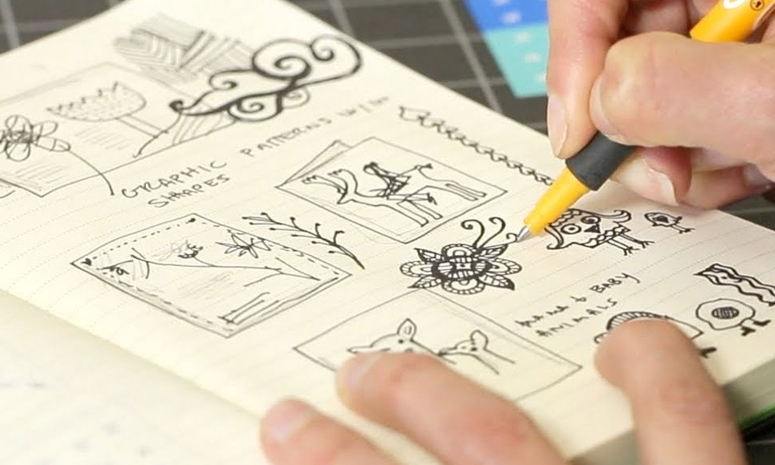 Why doodles look better on Moleskines, we may never really know. What we do know is that this particular notebook has fueled, if not revived, many artists’ love for traditional sketching. Even artists who have long practiced digital art seem to be moved. Looking into some of the most creative sketches online, we’ve discovered how great they truly are! Imagine such works on your website, on posters, on business cards, on basically anything. They come in all shapes and sizes. Ask an artist and they might even list art media that they love to use with their Moleskines; some may tell you that they love ball-point pens or fountain pens, some may tell you that they prefer watercolor or even mixed media. Whichever way, if you add these media with a blank notebook and pinch of talent, we’re pretty sure nothing can go wrong. For today, you can feast your eyes on some of the finest Moleskine art. Get inspiration and feel free to share links of similar artworks you’ve discovered or have made yourself on the comments below. UPDATE: This post was originally published on July 2011. New images and links have been added.